If you are looking for information on the Unibrew Office Coffee Service franchise business opportunity, Unibrew Office Coffee franchises or Unibrew Coffee franchising , then you have come to the right place. We are an Office Coffee Service business and we understand that investing your time and your savings in a new business opportunity is not something to take lightly. To own a business in a multi billion-dollar industry? To offer a product that most people consume several times a day? A business with virtually unlimited growth potential? A "ready to go" opportunity. That's exactly why we have developed UNIBREW, the most innovative and profitable Specialty Office Coffee Service business opportunity on the market. A renowned Coffee Brewing Equipment Manufacturer who developed the most advanced brewer on the market exclusively for UNIBREW; perfectly adapted to the Office Coffee Service industry and to specialty whole bean coffee. Just take a moment to think about it... In the last few years, the specialty coffee industry has been booming to a $18+ billion industry with signature coffee shops popping up all over the country. Isn't this a sign that consumers really love their coffee! With UNIBREW, you could bring the specialty coffee directly to the consumers. 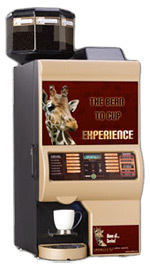 Specialty Office Coffee Service (OCS) using the UNIBREW system is a fantastic way of doing business-to-business since you can operate from your home, part-time or full-time, without any overhead and employee costs. What sets UNIBREW apart from similar business opportunities is that it is a License Program with exclusive brewing Equipment and Territory for operating the UNIBREW business and brand name. 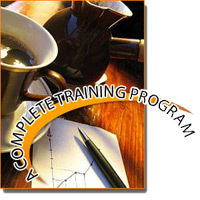 Everything's in place for you including full training on starting, operating and growing your profitable business. 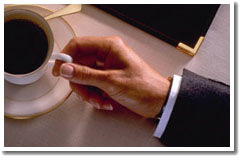 Whether you have experience operating a small business or not, we will help you get off to a fast and prosperous start. But more importantly, we will be there to help you keep your business profitable after you start and for as long as you wish. You learn quickly under a structured system with experienced teachers.